Sunil is our little speed racer! He loves to climb, jump, run, and snuggle. We call him our spark plug - always zapping and full of energy. Bauwa, which essentially means "baby boy" in Nepal, is the center's special gift. He was found naked, alone, and very sick, in the nearby countryside. Bauwa came to the center about two months before Sarah and Tom arrived. 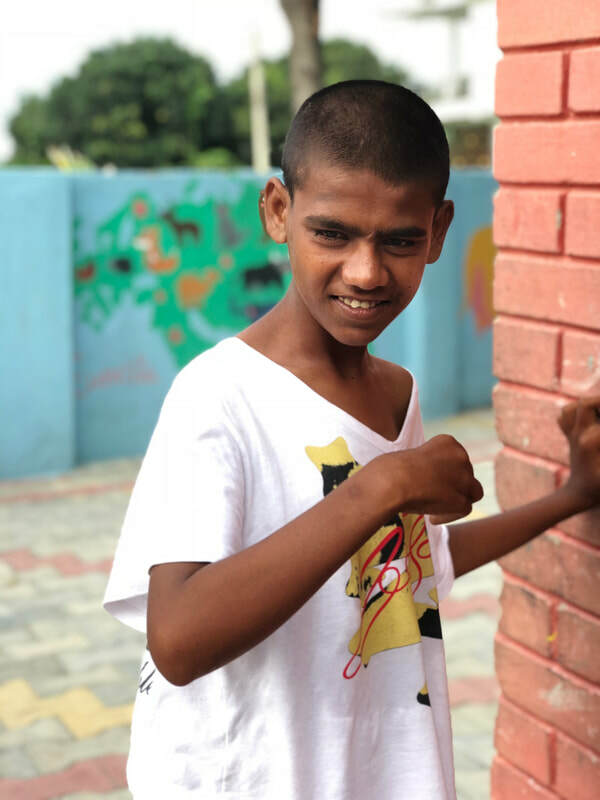 He suffers from an undiagnosed cognitive disability, and when Sarah and Tom arrived, he had not spoken a single word, was unable to use a toilet, and would not look anyone in the eye. His origins, and even his real name, are unknown. He was made a special project, and after a couple of games of peek-a-boo and walks around the neighboring village, his transformation began. 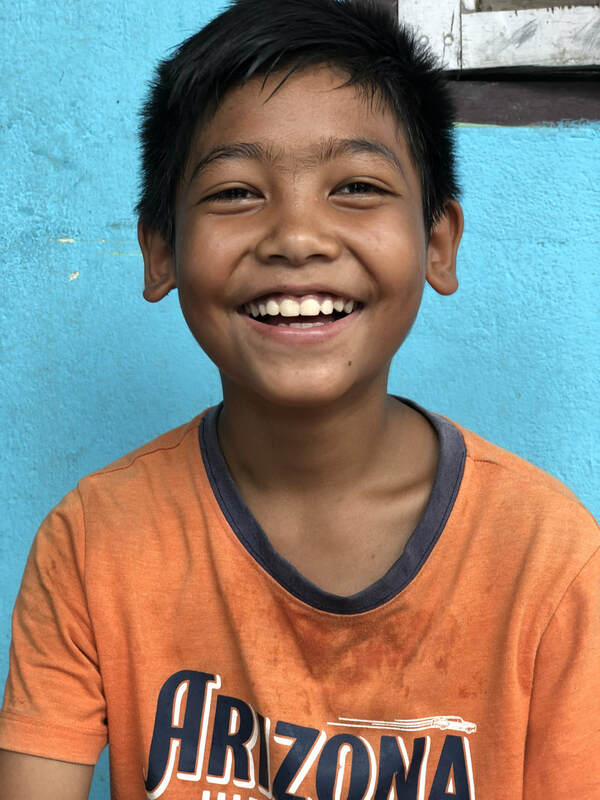 Laughing, singing, and staring contests soon became the norm for Bauwa, and the other children of the center began to learn how to interact with him. Even the occasional word - "hello!" - was coaxed from him from time to time. Bauwa still requires special care, but the improvements seen in him and his quality of life, over such a short period of time, are an incredible example of the transformations that are possible with a little love and attention. Bauwa loves cars, trucks, motorcycles - anything that goes "vroom!" He is now even washing his own clothes. Our dream is for him to one day see a plane. 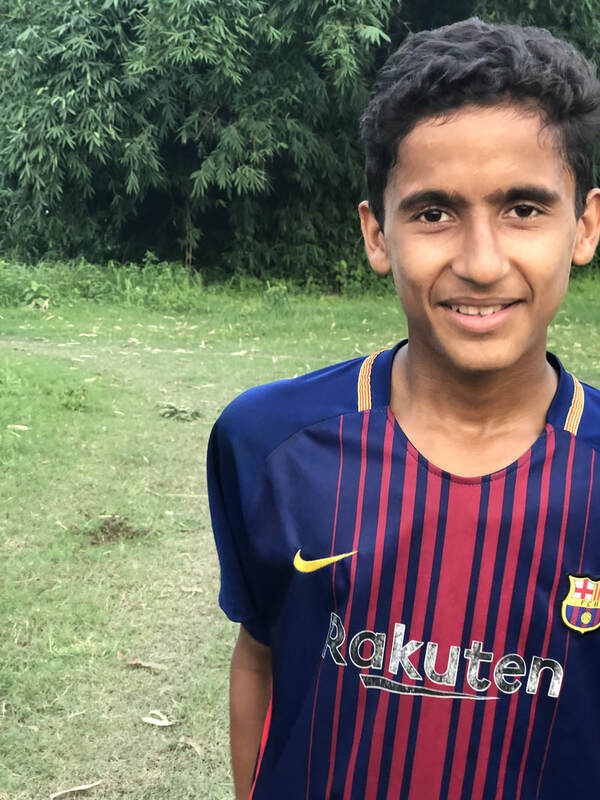 Krishna Pandit loves to play football (soccer) and wants to be a doctor "because [he] wants to help sick and poor people." Our family is so lucky to have his father, Kiswhor Pandi, living and working at NPH as groundskeeper. His mother died in childbirth. Sangita Lama loves dancing, knitting, and playing all sorts of games like cricket, badminton, and jumprope. She's also a talented hairstylist and creates beautiful braids for her sisters. She wants to be a nurse. Her mother died during the Maoist war and her father still lives in a mountain town near the Himalayas. Sapana Bhandari is one of NPH's newest members. She comes from the village of Rolpa. Sadly, her mother died when she was young and her father took his own life. 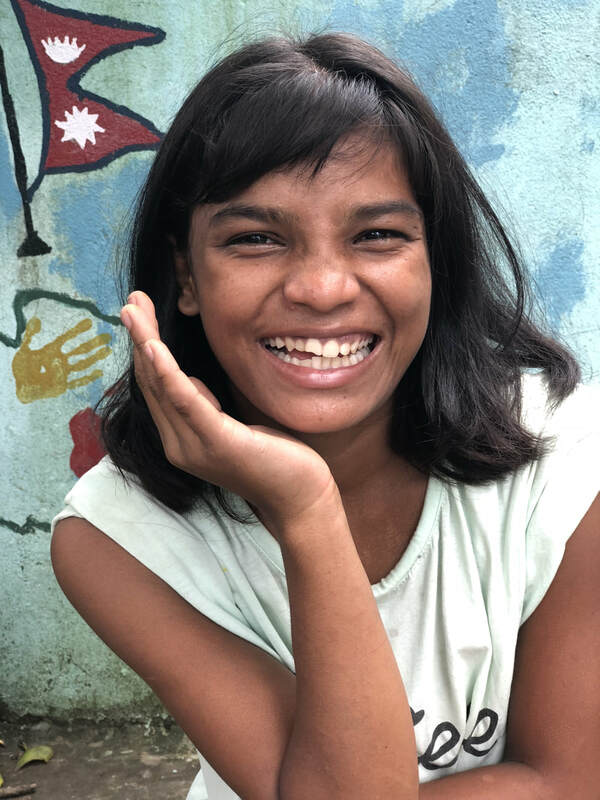 Despite a life of hardship, Sapana has a bright spirit and is full of love. 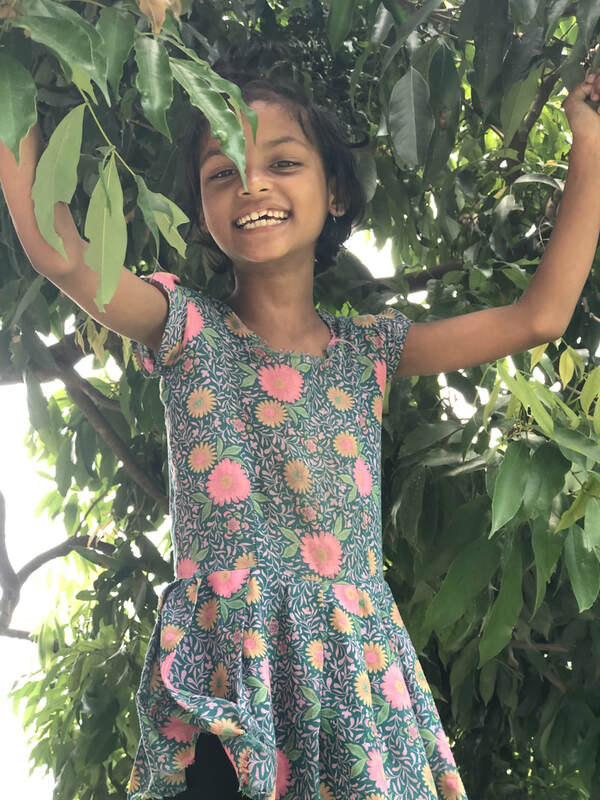 She is as sweet as she is scrappy, wearing princess dresses and asking for snuggles as she plays football and climbs trees alongside her older brothers and sisters. Sujada Bk lost both of her parents and comes from a low caste in Nepal. She is one of the center's hardest workers and most generous spirits, always asking how she can help, always spreading love and kindness to volunteers and her brothers and sisters. 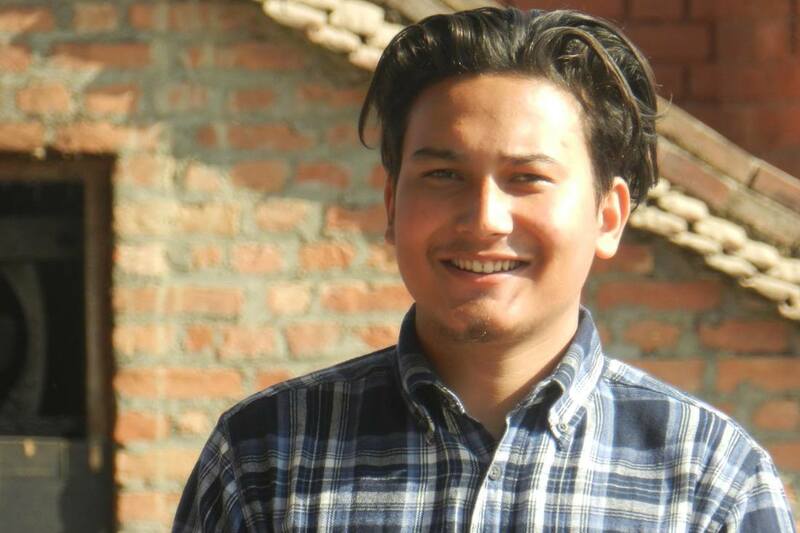 Dipesh Lama is the center's youngest member. He was found living in a slum in Otroli with his grandmother who is completely blind. He used to beg outside and bring food home for his grandmother instead of going to school. 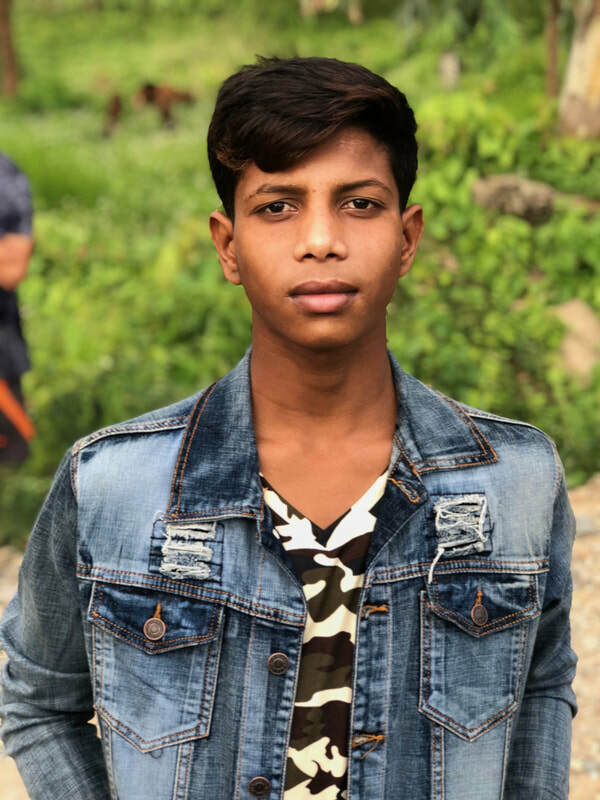 Despite his family's concern over how his grandmother would survive without him, Dipesh was brought to the center for a better life and an education. He is exceeding in his studies and works hard to keep up with his big bros and sisters. Maya loves acting and reading. Her favorite books are The Chronicles of Narnia, and she hopes to be a singer some day. She even performed at a holiday concert in front of her whole school! Rambabu is a huge help in the kitchen, and a kind, gentle older brother. "Raju" possesses an infectious enthusiasm. He loves to be involved in any and every activity, and is a true caretaker to little Sunil (above). 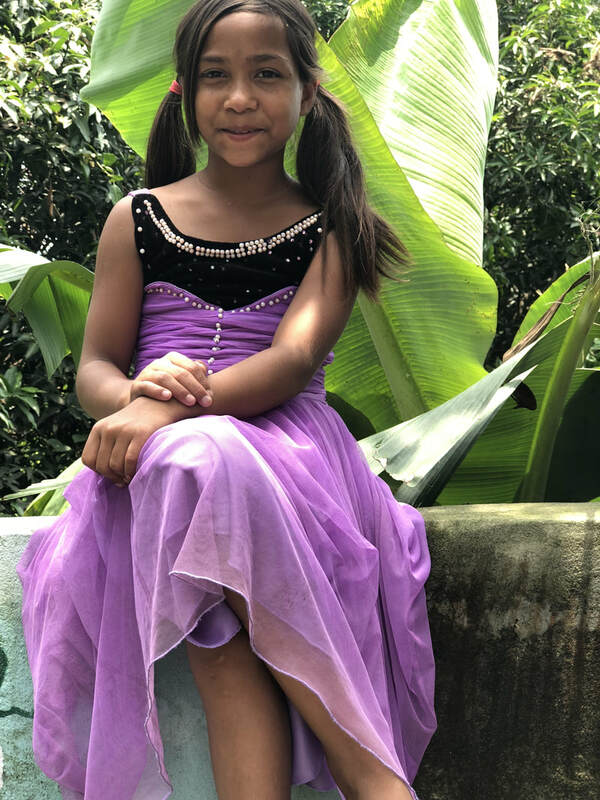 Januka Dahal loves to sing, dance, read, play, and skip rope. She is already a leader at Nepal Peace Home, and helps teach her younger brothers and sisters about health, responsibility, and teamwork. We call her the little mother of our center--as caring as she is nurturing. When she grows up, she wants to be a teacher and help others learn. Januka's father died when she was young, and her mother has no income with three other daughters who depend on her. , and his dream is to be an artist. 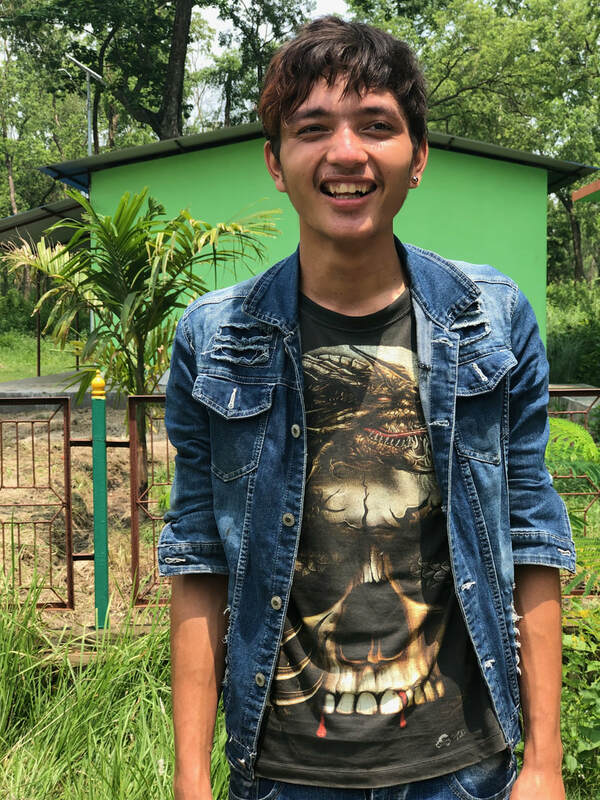 Sanjip Gurung is an efforlessly cool dynamo with a heart of gold who came to the center with his older sister, Sanjita. He's good at everything he tries, and he looks like he should be barreling over Pee Wee Football players en route to a touchdown. Sanjip is friend to everyone, a quality he probably learned from his role-model sister. Susant is a great friend. He is kind and patient and has a constant air of calm about him, despite the rowdy and rambunctious group of boys he is always playing with. Purnima Lama is a beautiful artist. She loves drawing, fashion, joking around, reading, and playing badminton. 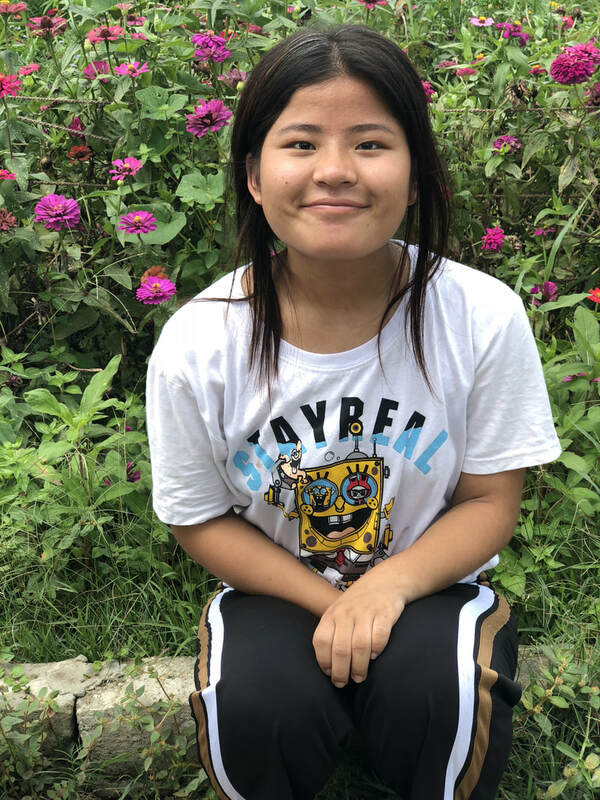 She will be our center's next graduate and plans to study art in college. She is sweet, patient, and kind. 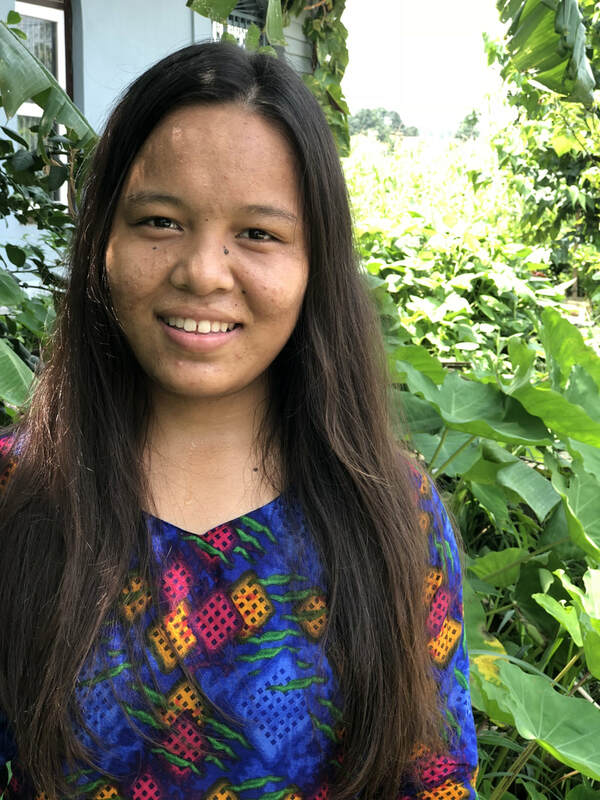 Purnima's father was killed during wartime conflict. Satrudhan, "the six-fingered man" is a spunky, raspy-voiced rascal. No, this is not just a reference to the Princess Bride - Satrudhan really does have six fingers and toes on each hand foot! His extra toes combined with numerous growth spurts are causing some trouble for his feet and legs, making it difficult for him to walk. 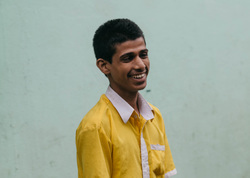 Satrudhan loves to draw, and can often be found harboring all of the center's colored pencils in his backpack. Pradip Katuwal is one of our college leaders. He is always happy help with keeping the group organized. He would make an excellent foreman, but he wants to be a policeman. Pradip is a great soccer player, but might be even better at puzzles. Mitlesh is a lanky, goofy, energetic boy. He loves to climb and play outside. Though he often looks serious in photographs, he has a soft, warm heart, and he speaks and writes beautifully about the love he has for his NPH family. He is a devoted friend who supports his brothers and sisters no matter what. 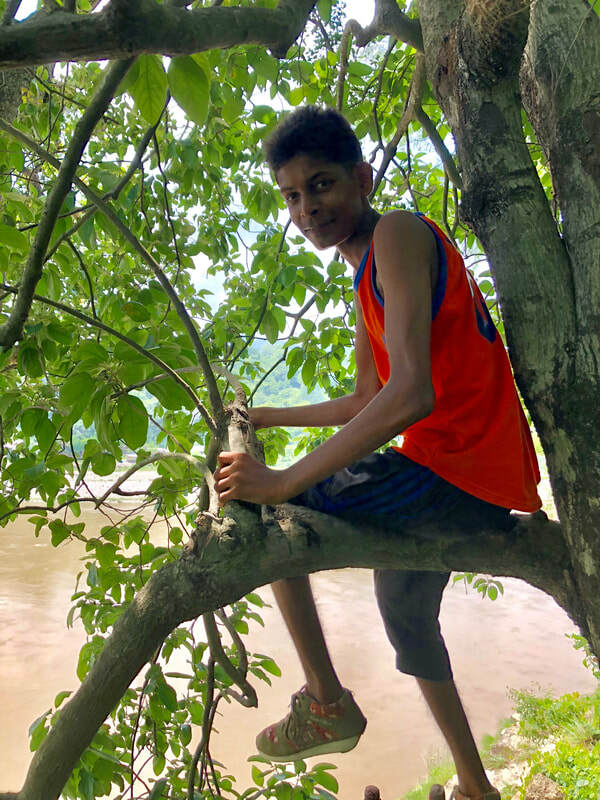 Harishankar is a wiz kid: he's a diplomatic leader who has earned the respect of all the children at the center, and already speaks with the tone of a politician for the people. 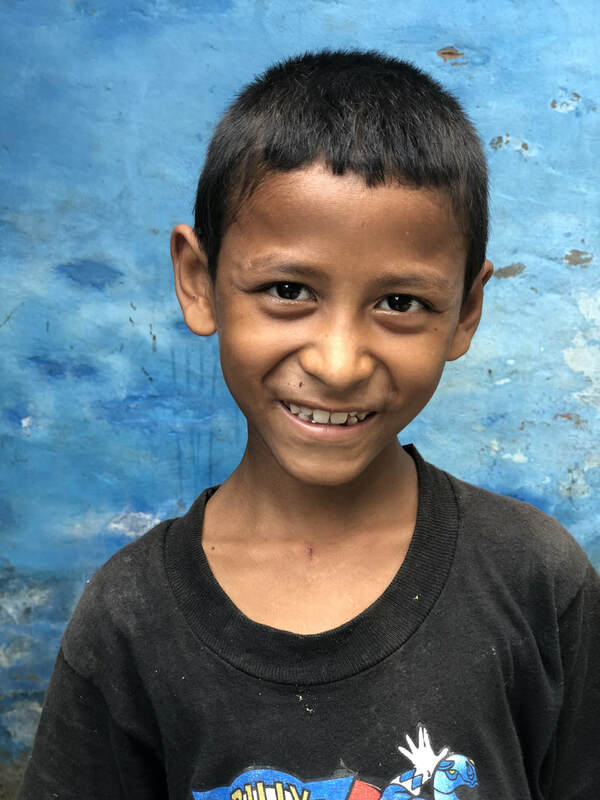 "Hari" wants to be a social worker first and a politician later, so he can truly come to understands the needs of his people. He's another of this year's graduates, so watch out for Hari's big plans! Hari's father was a decorated police officer who was killed during the Maoist conflict. His mother and brother live in a neighboring town. 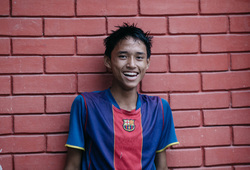 Sanju Lama loves football and video games. 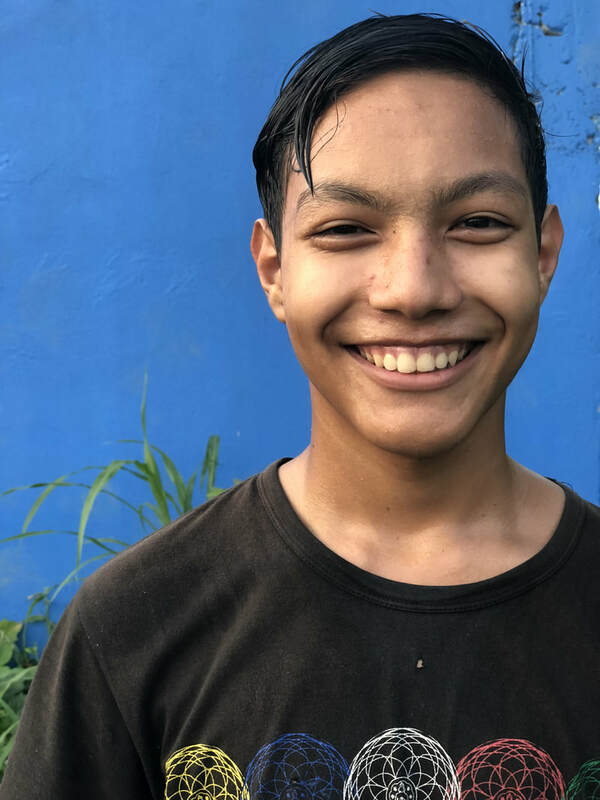 His aim is "to be a teacher because I want to teach others good lessons." His parents are out of contact. 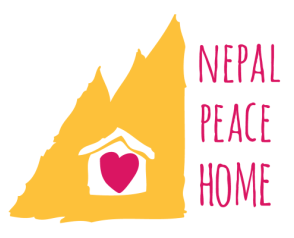 Smriti Majhi loves to read and play with the other youngsters at Nepal Peace Home. She wants to be a nurse and help others. 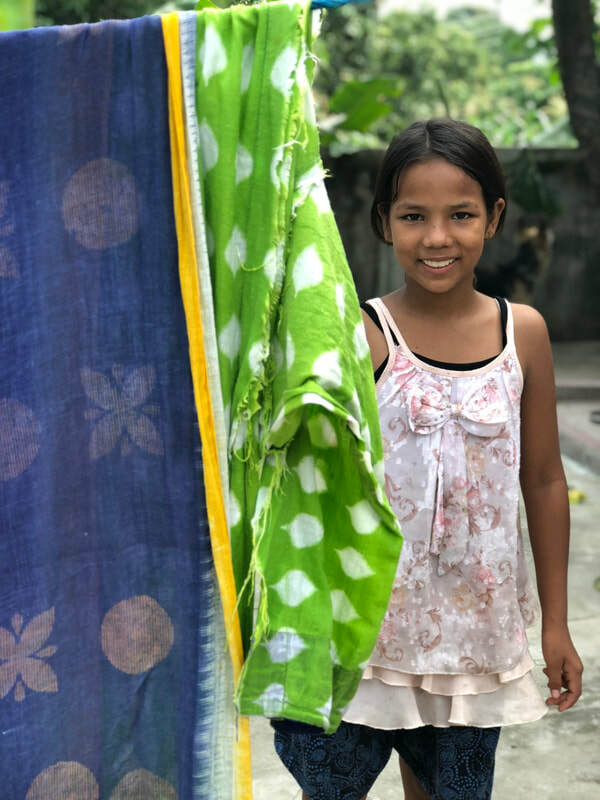 Her parents are both out of contact, and her aunt, Sabita, is her guardian. Her aunt has children of her own and cannot afford to also support Smriti, so she joined the center. Saraswati Khanal is as precious as she looks. She was found abandoned on the street around the age of two, and she has lived at NPH ever since. Her parentage is unknown, so the director of the center, Saroj Khanal, gave little Saraswati his last name. 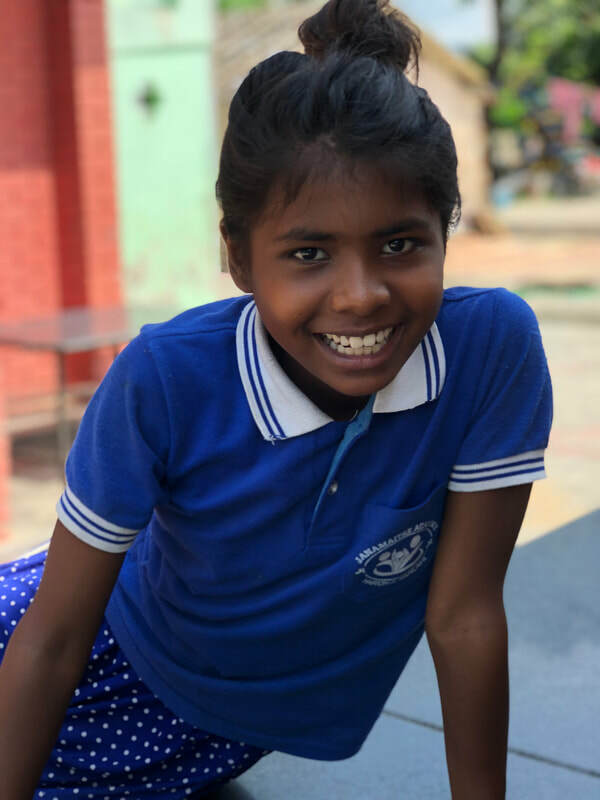 Saraswati loves to jump rope, play with the puppies and her good friend, Sunil, and go to school. She loves to eat and falls asleep during movies. 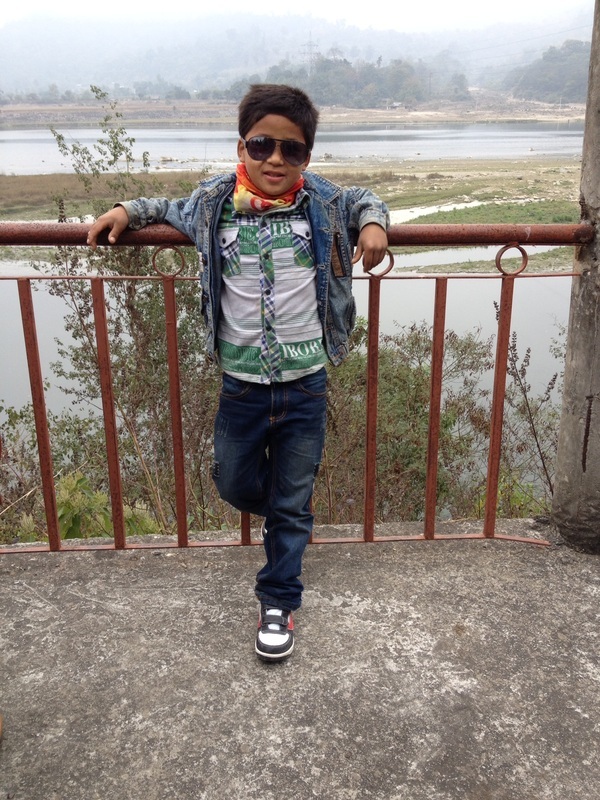 Nikesh Bhujel is a button-nosed little boy who loves to play. His mother, who the children know as Kanchi Didi, used to live at the center as a caregiver and cleaner. His father is in prison. He has one sister, Nikita, who often visits the center during holidays and festivals. Krishna Pariyar is a talented singer, artist, and lover of stories and music and one of our most accomplished college students. He just completed his Plus 2 education in Science, a competitive field, and will soon begin his bachelors degree in Forestry. 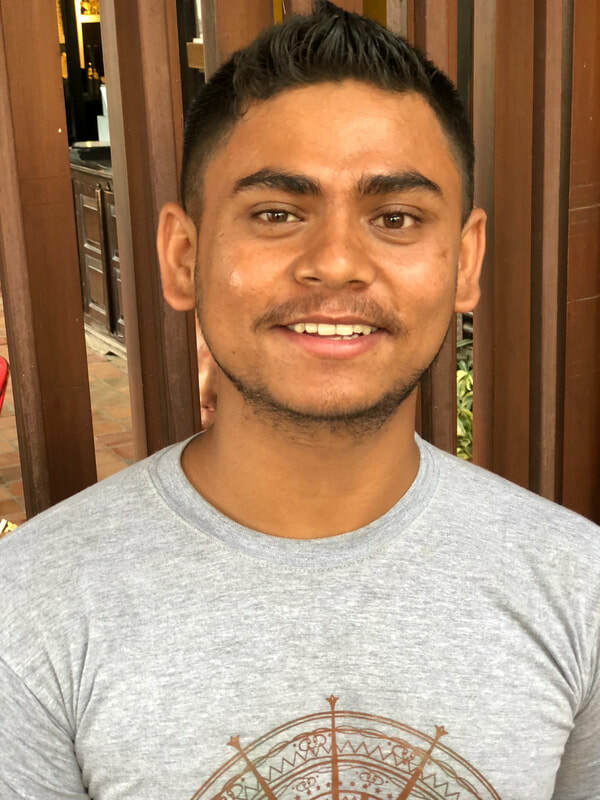 After moving to Kathmandu for Plus 2 and living amongst severe pollution, he decided that he wants to serve his country by working on the land and learning how to preserve the natural beauty and resources of Nepal. He says he also "wants to help other countries as you are helping." 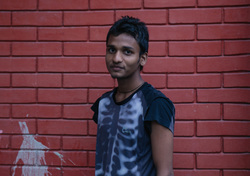 His mother died in childbirth and he has one older brother who lives in Kathmandu. His father lives and works in a neighboring village. Sanjita Gurung is a powerhouse cook, helper, straight-A student, and caretaker to her younger brother, Sanjip. Sanjita's mother took her own life when her children were 5 and 2 years old. According to the Gurung caste's customs, Sanjita and Sanjip's father were required to burn their home. Their father sent Sanjita and Sanjip to Nepal Peace Home so they could receive an education and better life. He visits them on every holiday. 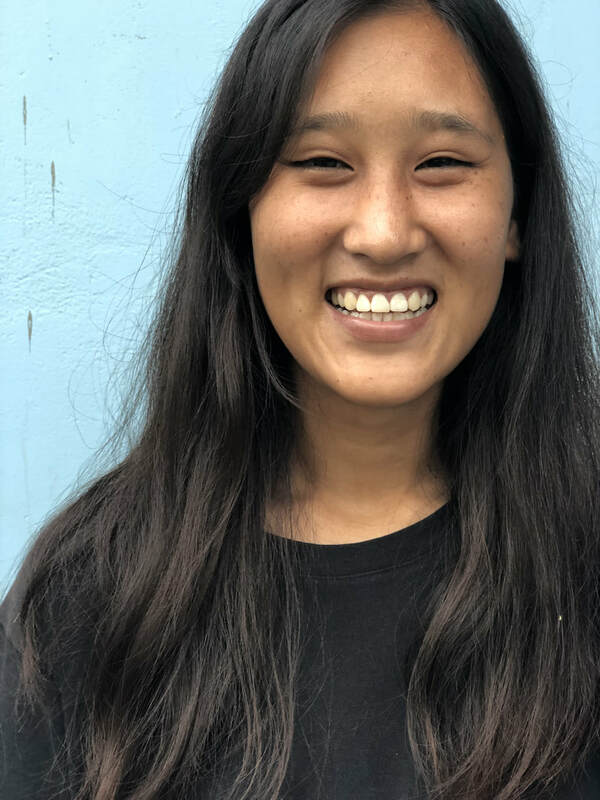 Laiku Lama wants to be a nurse so she can help others. She studies hard and plays hard, and loves helping her younger brothers and sisters. Laiku has two brothers and two sisters. Her father was killed during the Maoist war. Sanchita Devkota is one of the center's most mature leaders. She looks out for the younger children, especially, and never shies from responsibility. She is also a wonderful singer and dancer. 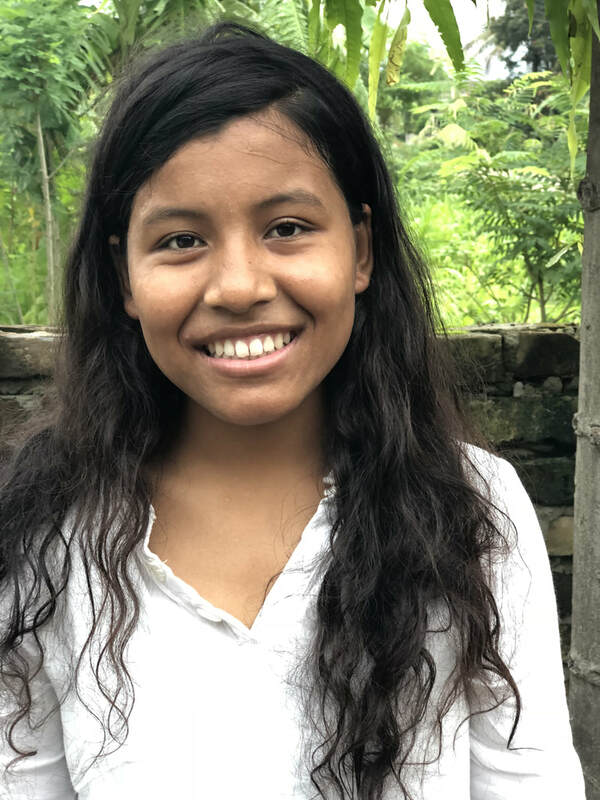 Sanchita's father, a respected police officer, was publicly executed by Maoist rebels, and her family was forced to flee when threats were made against their lives. 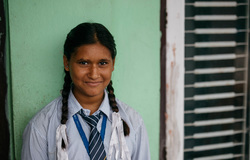 Sanjita wants to be a doctor and help those around her. She has 2 sisters and 1 brother who live in Kathmandu with their mother, who is very ill with Ovarian Cancer. Asmita is a quiet spirit with a nurturing quality and calming presence. These characteristics will make her the perfect nurse - her dream job - inspired by her role model, Florence Nightingale. She wants to help those less fortunate as a kind of dual nurse-social worker, and we say more power to her! Admit is one of the center's upcoming graduates, so stay tuned for her college plans. Asmita's parents are both deceased. Deepak Das is another strong leader at the center. His presence commands respect among the other, younger children; they revere him and depend on him for help, but also love to play and joke with him. 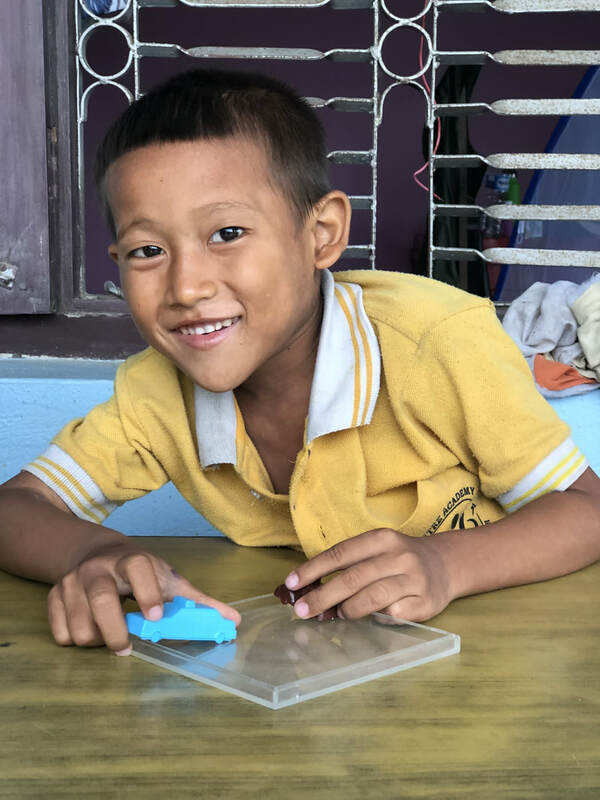 When Deepak was seven, he was playing with what he thought was a toy, but was really an undetonated bomb. He lost his hand and almost his life. Despite this, he is one of the most capable and mature young men at the center - a true example of resilience and that even a tragic experience such as his creates the chance to display greater perseverance and strength. The children prepare for a community play competition. Brace yourself; they know how to crank up the volume!